Be careful about simply maintaining the status quo in order to get through the here and now. Surprises happen after divorce; surprises that include healthcare changes, disability, job loss, asset depredation, etc., and should be planned for. If you share children, you may also need to account for college costs and unforeseen events. Splitting college costs evenly can be difficult if one parent loses their job, or salaries change. Therefore, ensure that your attorney is taking the potential for changed circumstances into account, and you are as shielded from these risks as much as possible, as this could prevent you from having to go back to court. Housing is another sensitive issue with divorcing couples, but needs to be carefully considered in terms of lifestyle expectations. While many parents want to provide their children with the same lifestyle they had before the divorce—perhaps by hanging onto the family home—this can lead to serious financial troubles later on, especially when one person is trying to cover the mortgage on their own for a house that was previously paid for by two people. How might this spending affect my kids’ choices when it comes to spending? How does this choice meet my family’s needs, both now and in the future? What might I have to give up in turn for making this choice or purchase? Notify your employer if you owe any payroll-related support payments. 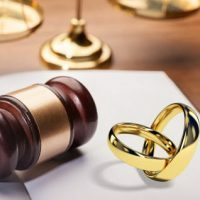 Note that the divorce rate in second and subsequent marriages is higher and that prenuptial agreements are not just for the wealthy, but for everyone, including those who will be affected by your estate plan. This can also help you get on track with becoming more financially educated, and tracking everything on balance sheets. For skilled legal advice for divorce, contact our Florida divorce attorneys today for a free consultation. Our dedicated legal team at the Arwani Law Firm is eager to assist you with your case.